The best source of halters I have found is Jeffers Livestock . The halters are economically priced and fit Dexters better than any other. The item number for their nylon cow halter is SS-H6 and they come in a variety of colors. The yearling size fits most adult female Dexters, the calf size fits most yearlings Dexters. 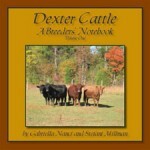 The cow size fits larger Dexter cows and smaller bulls. If you need a halter for a young calf, their nylon goat halters work beautifully. The item number is SS-G1 and it comes in small, medium, and large. 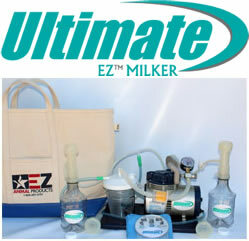 This range of sizes will fit Dexter calves from week-old calves to three months.